Good central location- walking distance to theatres, shopping, markets and restaurants. Value for money. We were very pleased with the Nova Stargate thought it excellent value great position. We would be happy to stay next time we have to come to Melbourne and will certainly recommend it to our friends .We stayed at the back of the hotel and were surprised how quiet it was. Friendly service, decent enough room. No complaints from me. Ver good. Apt was clean and provided enough room for all. Only issue was with TV reception and audio - picture and volume cut out often. For the short time I was thre onsite was very good. Bit expensive for size of room! This is our third stay and it was as good as ever, staff excellent....thank you very much and see you again soon! A pleasant stay in a well kept room. Excellent value for money, good location and adequate amenities. Pretty good overall. Convenient location and friendly staff. Very nice, easy to get to, have stayed here before so repeated stay, the $95 per night deals are value for money. enjoy the quiet central location that is really good value ,we have been staying here since 2005 and recommend it highly to all our family and freinds. Staff are always helpful and accommodating . overall It was good. clean and staffs are friendly. The room was clean and functional. The staff were friendly and helpful. 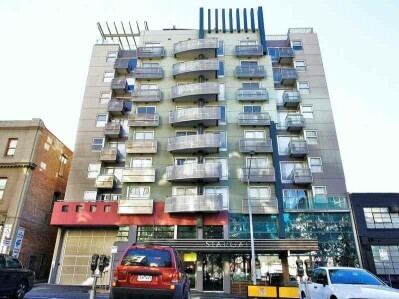 The location is handy to the CBD with only a 5 minute walk to the free city circle tram. It was a pleasant overnight stay. staff very friendly and helpful. rooms tidy. good location.good value for money. Very good. Have stayed there previously and haven't had a problem. The lock on bathroom door wasn't working and blind were damaged. Overall experience of my stay was very good. Excellent service, room was very clean and very quiet. great location. After reading the other reviews on this hotel I was very concerned about our stay. However we had a great stay, room was fine, clean, tidy, serviced daily. Great location, secure parking, will definatley stay here again. Was not a big room by any means, but for my husband and I it was perfect for what we needed. We visited Melbourne to explore, not to stay in the room all day! Great location ment we could easily walk everywhere we needed. Have stayed in your apartments numerous times now which suggests we are extremely happy not only with the apartments but with your staff.Thank you all. Overall good experience, will definitely stay here again. The location of the hotel is very good. It is near the tram stops and tourist free bus shuttle. It is within walking distance to most tourist attractions. Efficient, pleasant. Staff were helpful. No problems. we enjoyed our stay, felt safe, and location was very good. © Copyright – Nova Star Gate Serviced Apartments All Rights Reserved.